Died: January 5, 2011 in Stuttgart, Germany in support of Operation OEF. Commander Matt Lacroix was one of three children in a Navy family. After attending high schools in California, Virginia and Connecticut, he decided to accept an NROTC scholarship and graduated with honors from Tulane University with a degree in Mechanical Engineering. Later, he earned his Masters degree in Engineering Management from Old Dominion University. After commissioning as an ensign in 1995, he began his advanced studies and training in the Navy nuclear propulsion and submarine programs. Matt was first assigned to the USS Wyoming (SSBN 742). He held a variety of technical and tactical assignments at sea and ashore and sailed in in both the Atlantic and Pacific fleets. In 2001, Commander Lacroix left active duty and transitioned to the Fleet Reserve. This allowed him to shift his attention to his young family. After active duty he became a nuclear plant operations manager for Exelon Corporation where he led highly technical and demanding programs managing nuclear power plant facilities in Illinois and New Jersey. As a reservist he traveled the world directing major fleet exercises worldwide and held a variety of leadership positions from 2001 until his mobilization when he and his wife were recalled together to active duty in May 2009. 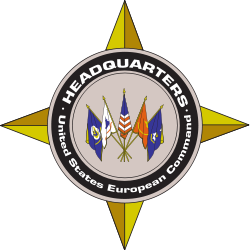 Commander Lacroix was a Politico-Military Adviser, Europe Division, Policy Strategy, Partnering and Capability directorate headquarters, United States European Command. There he was responsible for Norway, Sweden Denmark, Finland and Iceland. He died unexpectedly on 5 January 2011. He was known to bring humility, levity and excellence to his civilian and military work environments. Although he has been awarded five Navy achievement medals and the Legion of Merit, he was always proudest of his family and their accomplishments together. Matt’s wife Valerie is a member of the Commander Pacific Fleet Staff. They have two children, Tyler and Natalie.